The first month of 2019 has flown by, and somehow it is the first day of February already. 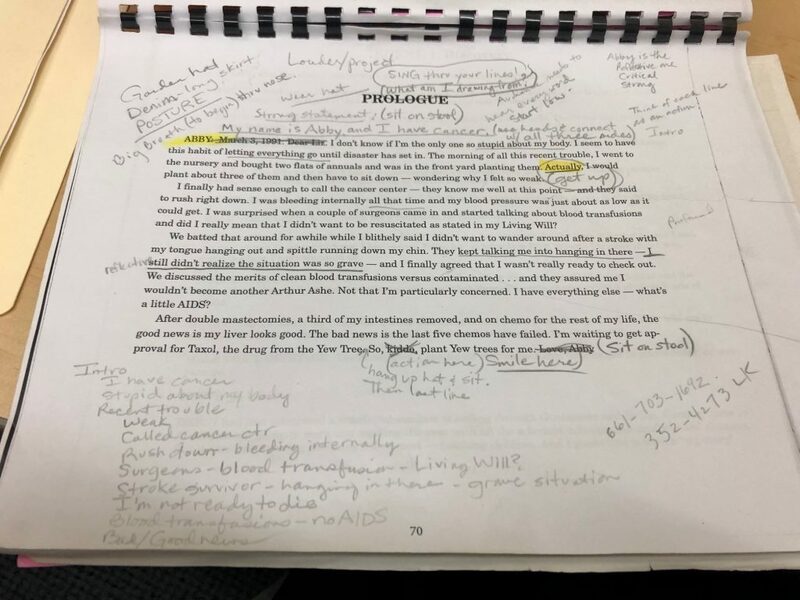 This month we got back into the swing of things adding new items to Alaska’s Digital Archives, which was recently migrated to OCLC hosting. We also implemented a new solution for storing our digital materials that can only be accessed electronically and added some new collection descriptions to our website. Alaska Steamship Company menus and publicity materials; undated, 1936-1942, 1952. EPH-0037. 0.01 cubic foot addition of menus from 1952. EPH-0419-AHS: Alaska Department of Fish and Game publication invoices; 1959. Thomas Wade Bledsoe photographs; 1975-1985. HMC-1310 Photos from a biologist and professional photographer. HMC-1092: Sleeper family papers; 1918-2017, bulk 1947-1984. 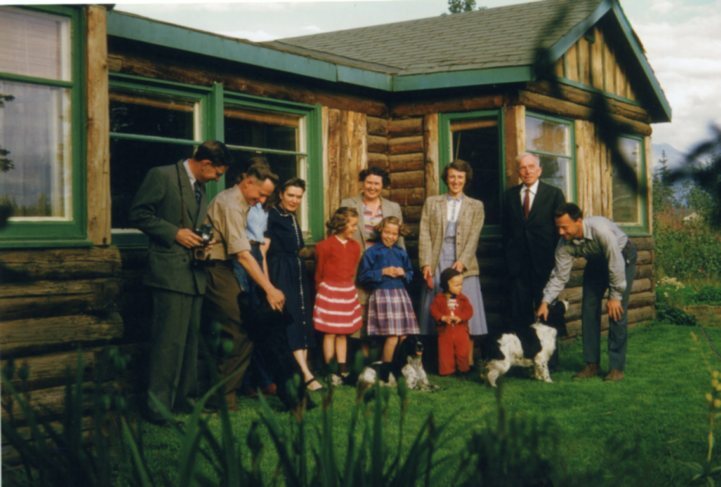 Primarily papers and photographs of the family of a U.S. Public Health Service employee who worked on the Alaska Insect Control Project in Anchorage from 1947 to 1954. Group photo in front of Charles Sawyer Wilson’s cabin. From Sleeper family papers. HMC-1103-AHS: Donald Burnell photographs; 2000. Photographs of covered bridges and other structures in Alaska. HMC-1288: Gene H. Lacy films; circa 1955-1968. Films taken by a communications security analyst who was stationed at Fort Richardson. UAA-0043: University Advancement photographs; 1967-2012. UAA photos, a 5.0 cubic foot addition. 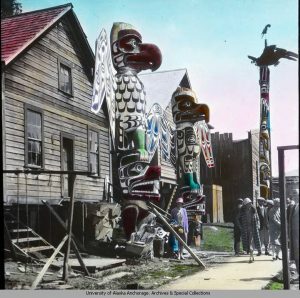 Tourists posing with totem poles. Clarence Leroy Andrews papers. 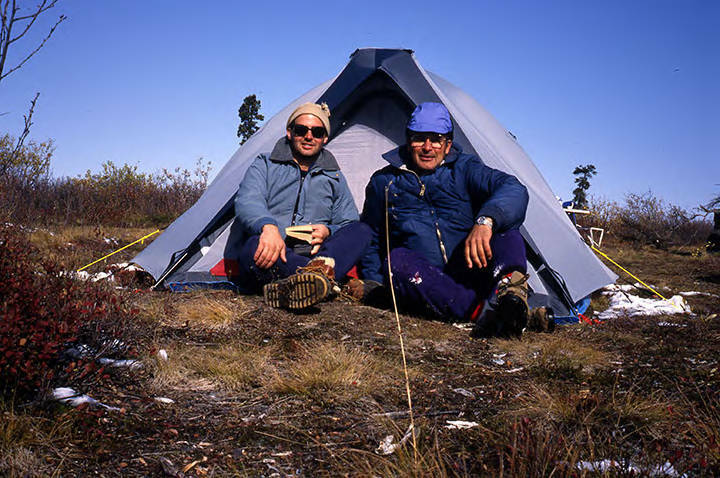 Frank Huber (right) and his son, Jeff, pose in front of their tent during a hunting trip. From Francis J. Huber slides. Introducing NAS (Network Attached Storage)! Last year we found ourselves unable to add large files to the network drive where we were storing our digitized and born-digital materials, due to a lack of storage space. After reviewing our options with both Brad and ITS, we settled upon the NAS as the most cost-effective and sustainable solution to our problem. The NAS consists of seven hard drives, which are configured for redundancy so that if a drive fails the data is not automatically lost. The data is also backed up to a cloud storage system. Many thanks to Brad for setting up the system and showing us how to use it.